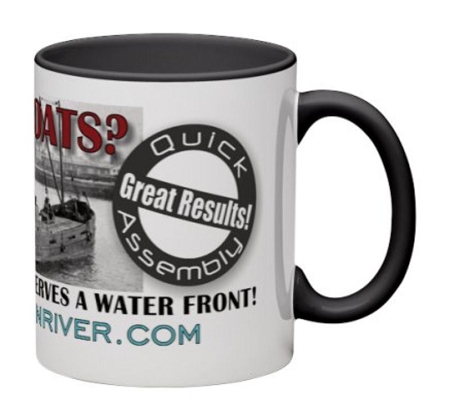 Because every layout deserves a water front! Let's face it, boats are amazing vessels that lend nostalgia, purpose and atmosphere to many scenes. They are the end and the beginning to many stories in how freight moves; either being the point at which a train picks up its cargo or where the rails end only to have the freight transferred to a vessel to continue it's journey overseas. 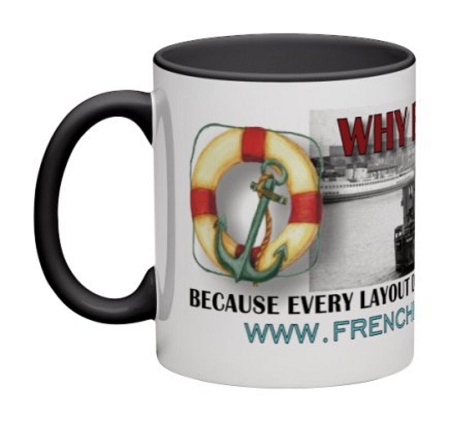 Doesn't your layout deserve to have this story told? 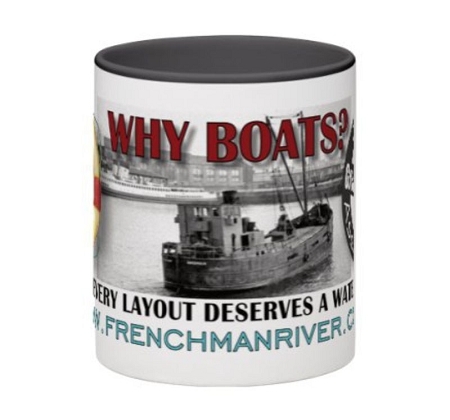 Spread the word of the relationship of boats and trains with this mug from Frenchman River Model Works!